Every year, as winter winds down, many people turn their attention to one of the most highly anticipated sports events of the year— March Madness. This annual basketball tournament has been held since its creation in 1939 and only continues to gain popularity. It is an NCAA tournament, meaning that it is the Division 1 college basketball championship. In this tournament, 64 teams from different conferences compete for the championship title. Last year, Villanova University and the University of Michigan battled it out in the championship, with Villanova prevailing as the victor. This year, the tournament is already underway. The first two rounds have been played, and the “Sweet 16” games are scheduled to begin on March 28. Several Michigan teams have made it to this level, specifically the University of Michigan and Michigan State University. These hometown favorites, however, will face tough competition from teams such as North Carolina, Purdue, Duke, and Tennessee. 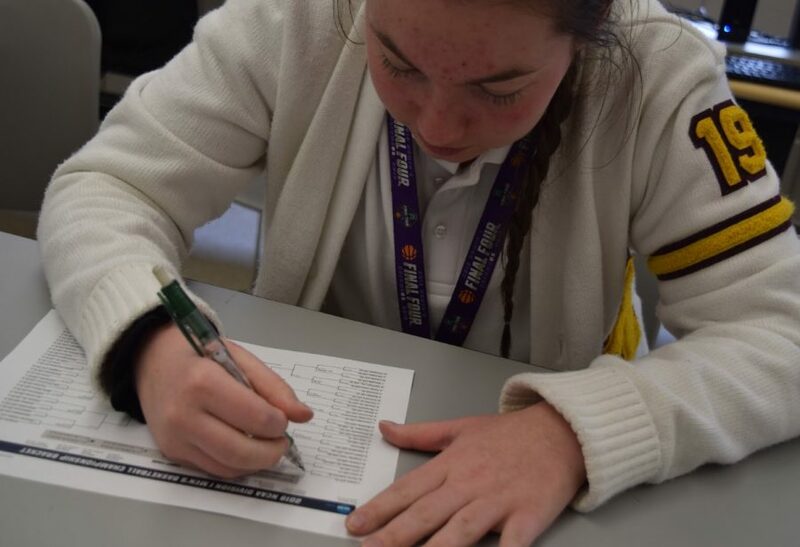 Many Mercy girls participate in the madness every year by filling out a bracket, watching the games, and cheering on their favorite teams. On the other hand, some students are not big basketball fans and therefore try to avoid the madness as much as possible. No matter how much people enjoy or hate basketball, the March Madness craze is almost impossible to avoid at this time of year for better or worse. Might as well get in the spirit of things and try filling out a bracket or watching a Sweet 16 game. Who knows, you might get in on the madness too!